The best defense against a Ransomware attack is to perform a regular backup of your files. Ransomware is a type of malware that prevents or limits users from accessing their computer system, either by locking the system’s screen or by locking/encrypting the users’ files unless a ransom is paid in exchange for the deciphering key. Keeping a disconnected off-line copy of your data is a pragmatic way to improve your backup strategy. 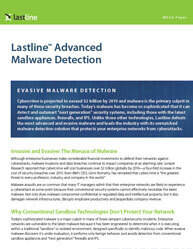 Your last line of defense against Ransomware needs to be an off-line backup. 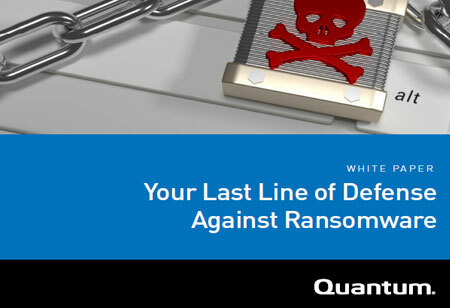 This whitepaper describes what happens when Ransomware takes over a computer, what steps needs to be taken for defense against Ransomware, and how regular and proper backups can help users restore data. It addresses key questions like: >How does Ransomware get into your environment? >How do you protect your data from Ransomware attacks? >Is cloud Ransomware protection heaven? A lot of vulnerability remediation pitfalls can be avoided by investing in the right Vulnerability Risk Management technology. This means implementing a solution that effectively automates as many processes as possible. Vulnerability Risk Management is often under-sourced and under-tooled, and yet stands at the epicenter of protecting the organization from a breach. 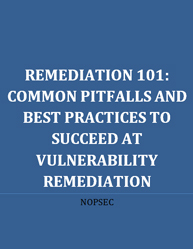 In this white paper on “Common pitfalls and best practices to succeed at vulnerability remediation”, we explain common vulnerability remediation challenges and: Provide solutions to simplify vulnerability remediation process Reduce the average time it takes to close a vulnerability remediation ticket Keep your business running smoothly and securely without any vulnerabilities If you’re responsible for any part of your company’s Vulnerability Risk Management (VRM) program, this white paper is indispensable!